We proudly serve Dallas Township and Monroe Township. Estimated population of approximately 10,115. Our area is bordered by Dallas, Franklin Twp, Harveys Lake, Northmoreland, Noxen, and Tunkhannock. Breakfasts are held the second Sunday of Every Month at The Kunkle Community Hall. The breakfast features Pancakes, Ham, Sausage, Bacon, Home Fries, Pepper & Onions, Scrambled Eggs, French Toast Sticks, Sausage Gravy, Creamed Chipped Beef, Biscuits, Toast, and Homemade Treats ! Help us find you. 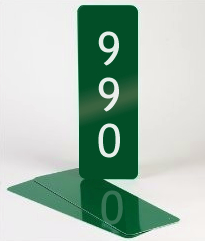 Order a green reflective address sign today !! We are always looking for volunteers. You can not only volunteer by helping at fires, accidents, or medical emergencies, but we have many other support rolls that are available. We will help you get the training that you need. No experience necessary. Located at 815 Kunkle Road, Dallas, PA. Rental includes dining hall with tables and chairs to seat approximately 150, use of full kitchen and ample parking. Call 570.675.3334 for details.